Prescription drug errors and drug interactions are a common form of medical malpractice. Health care providers that fail to protect their patients from medication errors are placing them at risk for severe reactions that can result in permanent damage or death. All of these errors can be dangerous to a patient’s health and recovery. Failing to anticipate how a new medication will interact with a patient’s medical history and current prescription intake can lead to disaster. If you or a family member have been injured by a medication error, the prescription drug error lawyers at Richard J. Plezia & Associates can help by protecting your rights and filing a personal injury claim against the negligent medical provider. If you experience any of these symptoms, contact your physician immediately. If your medical provider diagnoses a drug interaction as the reason for your symptoms, retain all relevant documentation including all prescription records. A case of medical negligence requires strong records, and your physician’s orders will be important if your case goes to court. The effects of a prescription drug interaction and/or drug error can range from minimal to fatal. If you have suffered harm, a drug interaction attorney with experience in medical negligence can represent you. Any injury from a drug error, no matter the severity, is a deviation from the applicable standard of care for medical providers and should be considered serious. Ignoring the incident means a negligent medical provider will continue to practice medicine and continue to harm patients. Stopping negligent physicians and nurses can protect other patients from going through the same anguish. If you were injured and suffered because of a drug error or interaction, don’t sit silently. 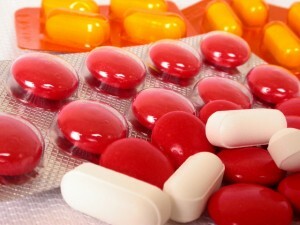 A call to Richard J. Plezia & Associates drug interactions lawyer in Houston is a call to action. Contact us today for more information on filing a claim of medical negligence.